We're running a great contest ending on April 8th, 2018 so don't miss out! Dear Stox HODLr's, our Deposit Raffle is running! In appreciation of being part of the Stox journey, all users that will deposit at least 200 STX in their account between the dates of March 5th - April 8th 2018 will automatically be entered in a raffle with 3 Ledger Nano S devices to be won. Users who have already deposited 200 STX or more before the mentioned date above do not qualify. Participants will be chosen at random and announced on Tuesday, April 10th 12:00 UTC here on Telegram. Keep in mind, any STX that you deposit to the Stox platform are completely risk-free. Any STX you deposit to your account are returned to your balance at the end of every prediction, as our Sun Tzu Beta version functions in total risk free mode. 1. Contests runs from March 5th 2018 until April 8th 2018. 2. The winners will be announced on April 10th 2018. 3. 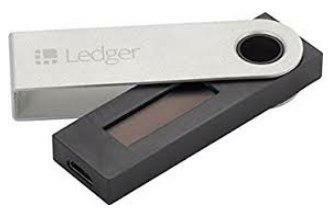 There will be three winners, each of whom will receive a Ledger Nano S.
Our general rules and conditions of use of our website apply.